As truck manufacturers get ready to showcase their unique takes on what outdoorsmen want at the Specialty Equipment Manufacturers (SEMA) show – a monster sized event open only to the trade – I came across this in my file and was so taken with it that I had to share it since it is available at dealerships. 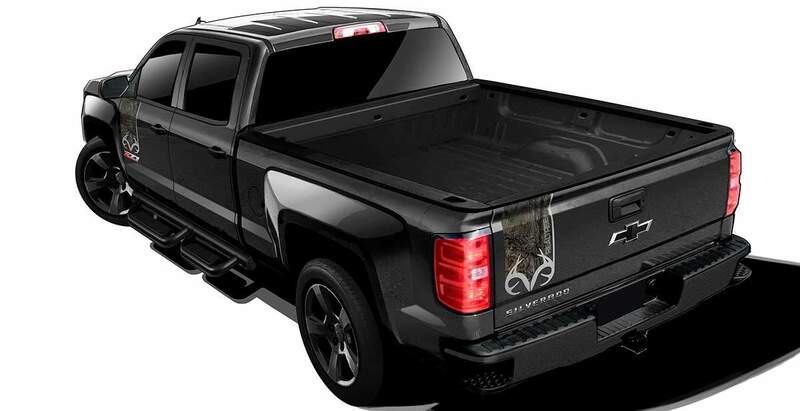 The 2016 Silverado Realtree Edition is a package offered on the Silverado 1500 LTZ Z71 crew cab models and includes iconic exterior graphics and the Realtree logo embroidered on the front seat headrests. It is also repeated on other camo-centric interior features. Two V8 engines are available – the 5.3L which Chevy says can get 23mpg, and the 420 hp (460-lb.-ft. of torque) 6.2L which the company says is the most powerful available in a light duty truck. The 6.2L boasts 11,700 lbs. max towing capability when the truck is properly equipped. Some key features include Rancho monotube shocks, hill descent control, underbody shield and recovery hooks, and 18-inch bright-machined wheels. Automatic rear locking differential is standard with this Z71 configuration, and four-wheel dis brakes with Duralife brake rotors offer up to double the service life of conventional rotors. On the technology side there is new phone integration via Chevrolet MyLink allowing smartphone users to connect with apps such as navigation and hands-free messaging, as well as Apple Car Play and Android Auto. There are additional features being added as the model year progresses and some may even be on the latest build of the Realtree edition. One of the features that I appreciate on GM vehicles, including this Silverado 1500 is the integrated 4G LTE wi-fi conductivity. I’ve been in many remote locations with little or no connectivity for my phone which is powered by AT&T. The built-in hotspot in the Silverado kept me stay in touch for both phone and internet services. 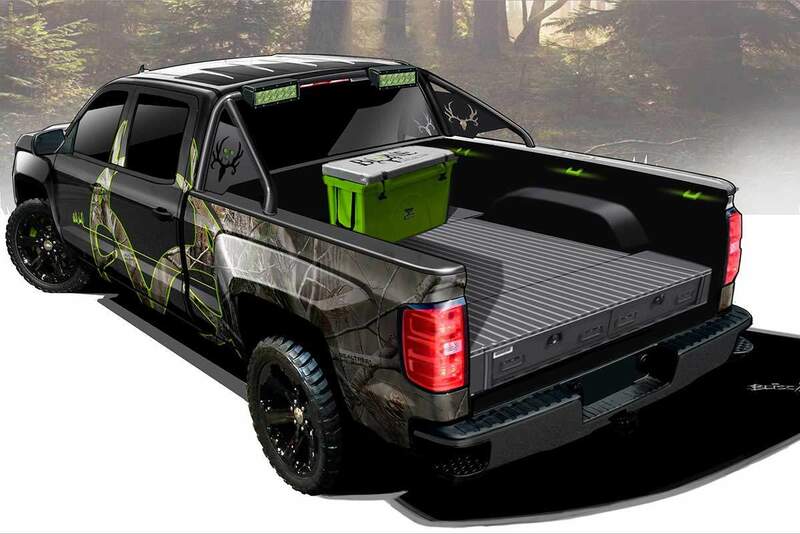 Realtree designer and president Bill Jordan, said that working with the Chevy team brought home the importance of the right truck for outdoor enthusiasts. I couldn’t agree more.